Yhonnie Scarce works predominantly in glass. Her work considers the scientific research and concepts that have impacted and have ongoing effects on Aboriginal people. 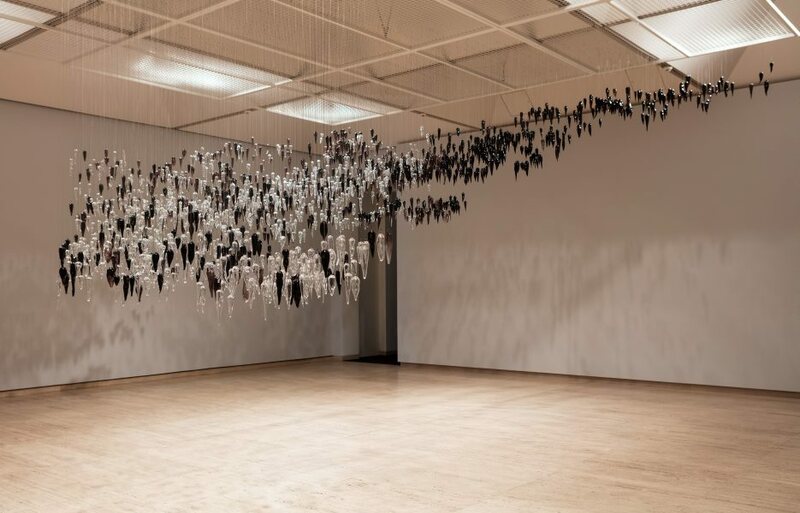 In this major installation Scare employs small glass yams, which she feels represent people, to create a vast, wind-swept form that refers to the poisonous clouds that rained across Maralinga, SA as the British and Australian governments undertook nuclear testing there in the 1950s and 1960 forever altering the landscape and dramatically effecting people’s lives.